Lock in a great price for Hotel Rinno – rated 9 by recent guests! 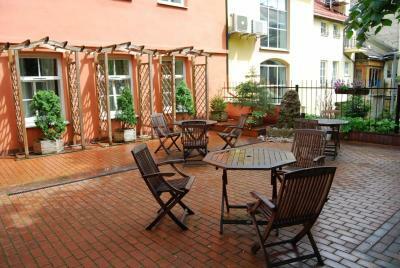 Great location, close to the historical center. Easy connections with public transport if you don't have a car. 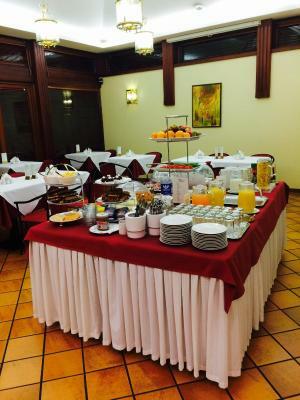 Delicious breakfast, served by friendly and courteous staff, comfortable and warm bedroom, with great price. i loved it - i even extended my stay. The room was spacious and clean. There is everything one needs for a relaxed comfortable stay. The staff is very polite, helpful and multilingual. Great location as there were several super restaurants 2 minutes walk away. Good value and good breakfast with freshly made omelette! We stayed half a dozen times in this hotel, and the experience is consistently excellent. A good breakfast, a nice and clean room, an excellent location. The car can always be parked near the entrance. We stayed many times at this hotel. They are keeping very good standards consistently. The price/quality ratio is just perfect. The staffs are amazing! The breakfast wonderful & lots of choices! I love how they make fresh hot dishes, eggs or pancakes. The room has a good size. It is about 16-18 minutes walking distance to Town Hall (depends on your walking speeds). From the airport, you can use TOKS airport shuttle to the bus station for 1 Euro. Then from the bus station, either walk (use your gps on your phone about 14-16 mins) or ride a bus #1G or 53 for 1 Euro (ask direction from the hotel staff please!). I personally walk and see around the area. If use a taxi from the bus station, it will cost 5 Euro to the hotel. If use the taxi from the airport-hotel, the flat rate is 15 Euro. Everything about the hotel was wonderful. Unbelievable value for money, the breakfast included in the price was wonderful - there is this very nice lady in the dinning room that asks everyone what they would for her to make them (eggs, blini, both, something else) and then asks if you would like more. The rooms were clean and comfortable, great view from the window (at least on the forth floor)... couldn't ask for more. Great parking, just outside the hotel. The hotel has 3 parking spots and in case they're full, they pay the parking ticket (it's a paid parking zone). Staff were nice and helpful. Spacious, quiet room. Quiet. Large bathroom. Breakfast was excellent. Served in a lovely room with indoor and outdoor tables. Variety of meats, cheeses, breads and high quality pastries on buffet. They would also prepare eggs to order, pancakes, sausage and hot oatmeal. The room was very clean, the staff helpful and the breakfast excellent. The hotel is great value for the money. Hotel Rinno This rating is a reflection of how the property compares to the industry standard when it comes to price, facilities and services available. It's based on a self-evaluation by the property. Use this rating to help choose your stay! One of our best sellers in Vilnius! 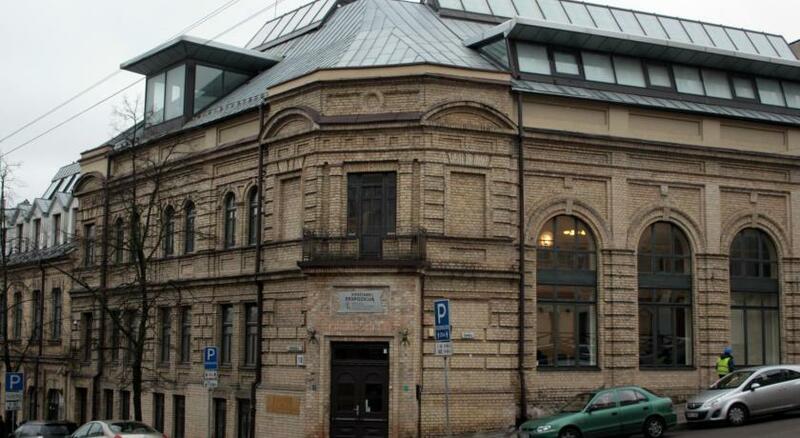 The elegant, 3 plus-star Hotel Rinno is located on the quiet Vingriu Street close to the Synagogue in Vilnius' Old Town. It features classically decorated rooms with satellite TV and free Wi-Fi. All rooms at the Rinno are decorated with warm, sandy colors. Each comes with a private bathroom with a hairdryer. Some offer a mini-bar. Guided tours can be arranged upon request. A pick-up service from the Vilnius International Airport, which is 3.7 mi away, is available. Guests can start their day with a buffet breakfast, including traditional choices as well as cooked-on-request pancakes and omelets. The on-site bar is open 24 hours a day. Guests are offered complimentary tea and coffee. Hotel Rinno is only a 10-minute walk from the bus/train station and the City Hall. Free on-site parking is provided. When would you like to stay at Hotel Rinno? This standard room has a desk, a TV, a telephone, an armchair and a bathroom. An extra bed is not available in this type of room. With more space and a minibar. With a sitting area, a minibar and a spacious bathroom with bathtub and bathrobes. This standard single room has a desk, a telephone, a TV and a bathroom. 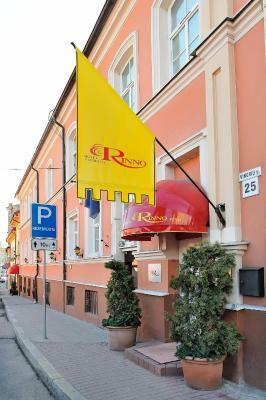 Rinno is very proud that became the most hospitable small hotel in Vilnius city in 2011, 2012 and 2014 . TripAdvisor is proud to congratulate the Rinno hotel for achieving the prestigious Certificate of Excellence in 2012, 2013, 2014, 2015. House Rules Hotel Rinno takes special requests – add in the next step! Hotel Rinno accepts these cards and reserves the right to temporarily hold an amount prior to arrival. Please note that extra beds are available only in superior and luxury double rooms. Please inform Hotel Rinno of your expected arrival time in advance. You can use the Special Requests box when booking, or contact the property directly using the contact details in your confirmation. If possible, ask for a room that opens its windows into the yard, not the street, as it might be a bit noisy at times. Very close to the MO museum and the old town (just cross the street and start wandering little alleys). The parking lot is free with enough space! And there are lots of nice paintings inside - feels like a little gallery! Location, staff, room with a big bathroom, silence. The bar next door was quite noisy until 11pm but then the street was very quiet. An extremely elegant and comfortable hotel close to the old town. Perfect location to reach all places on foot, stuff is very friendly and supportive, room was huge! we enjoyed our breakfast and were surprised to be offered breakfast menu to choose a hot dish- so that hotel exceeded our expectations- definitely recommend! The room was very basic as a standard hotel room. The lighting for reading next to bed was too bright. Pillows were not comfortable. The breakfast with choice of omelet or pancakes was nice. Those were most delicious pancakes I have eaten. Very nice place to stay, just a few minutes far from city centre. The taxi they called me for the airport was a real crook: he charged me 17 euro for 5-6 km, playing the game of meter being stopped right after the access into the airport and receipt can't be issued. My flight was in 50 min, no time to argue with the crook. A decent hotel should not be working with this kind of people (when arriving at the hotel, he get into the hotel to meet the lady which ordered the taxi, most probably tipping her). Very ugly experience. Decent family place, nothing special, but fair price for what you get.